Despite how well-liked and yearned for, great upholstery is hard to come by these days. Many modern furniture providers choose to go the mass-produced, machine-assembled route in search for the highest profit margins. Unfortunately, this approach not only sacrifices quality, but also the artistic touch behind the process. GJ Upholstery Masters is South Florida’s go-to provider of high-quality upholstery work and design. Our team works dedicatedly to uncover the finest details of your project and then begins the process of transforming a concept into reality. Jaime Ure, GJ Masters’ project manager and company founder, has spent the last two decades of his life perfecting the craft of custom upholstery. In this time he’s worked on tens of thousands of projects and transformed the mood and aesthetics of numerous homes and businesses. 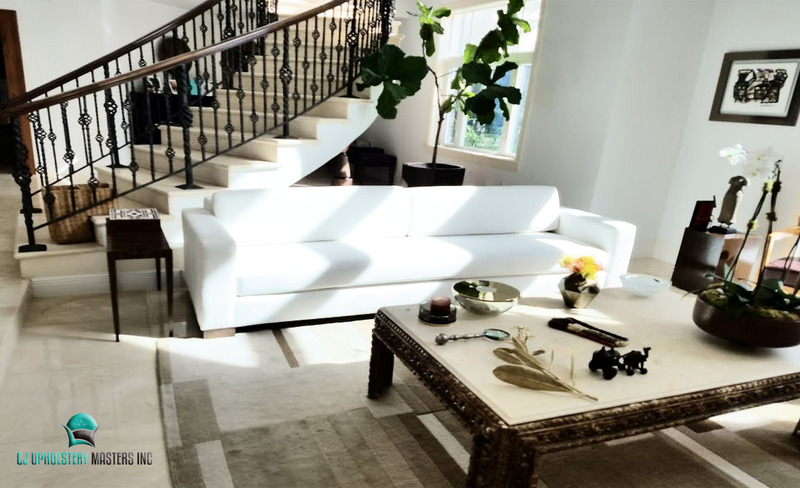 GJ implements various techniques to accomplish his beautiful craftsmanship and become a recognized figure for high-end upholstery Fort Lauderdale Florida services. 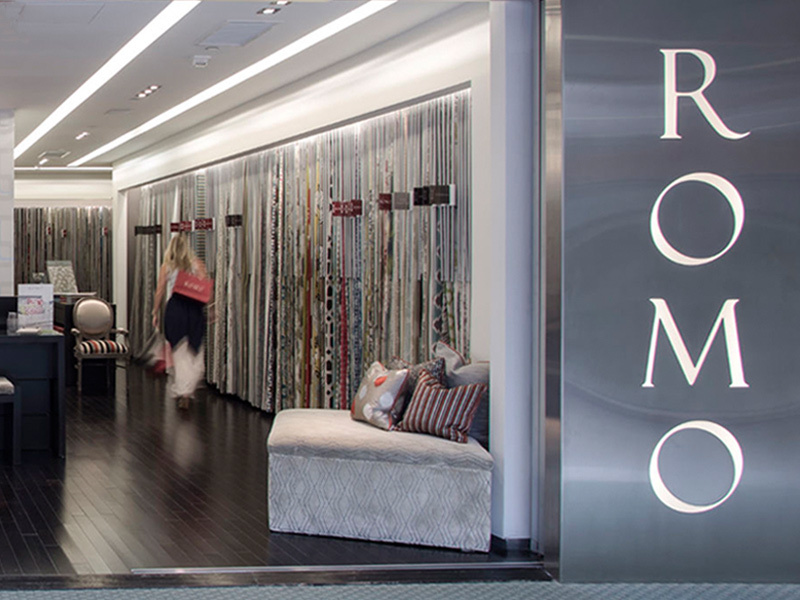 Romo opened the doors to their Florida showroom back in 2009. The goal of this locale was to establish a smaller more intimate version of their NY state showroom. 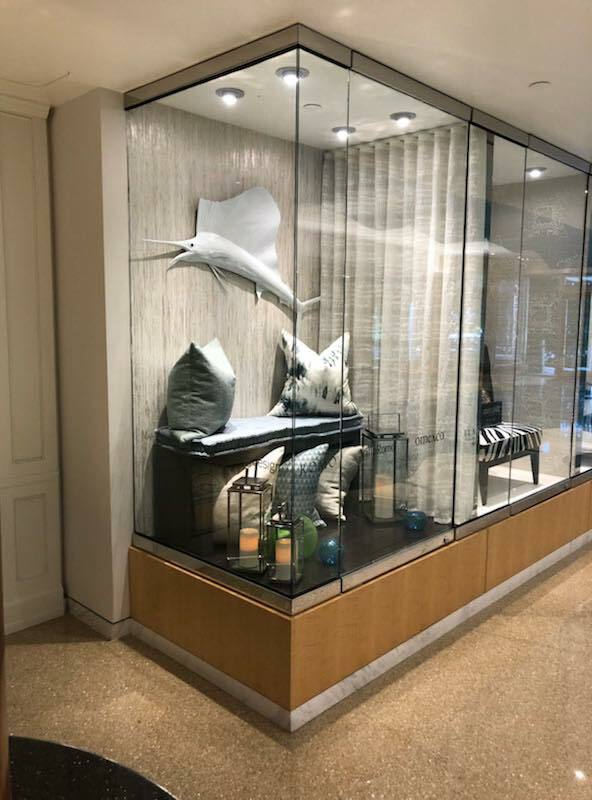 With a beautiful modern layout and modern display elements, it quickly became crowd favorite and embraced as one of South Florida’s best examples of expert interior design displays. Our team at GJ Upholstery Masters is proud to say that we’ve worked with Romo at their DCOTA display, manufacturing and recovering some of their pieces using their fabrics. Check out the display below. GJ Upholstery Masters is unlike any other South Florida furniture or upholstery provider because of the team’s consistent strides toward excellence and aims for perfectionism. We place an emphasis on the small details because we respect the process of fine upholstery. There is no contender that can match up to the quality that GJ delivers. GJ lives up to our name as true masters in the upholstery industry and hopes to work with you to complete your very own breathtaking project. Don’t hesitate to call us for your free upholstery Fort Lauderdale Florida consultation and price estimate. GJ has numerous years of experience, a great team of service providers, and a wide selection of high-end fabrics to select from. Contact us today for your free upholstery consultation.